They mark the child and leave lasting memories through the mystery and joy associated with each of them. They are not religious. 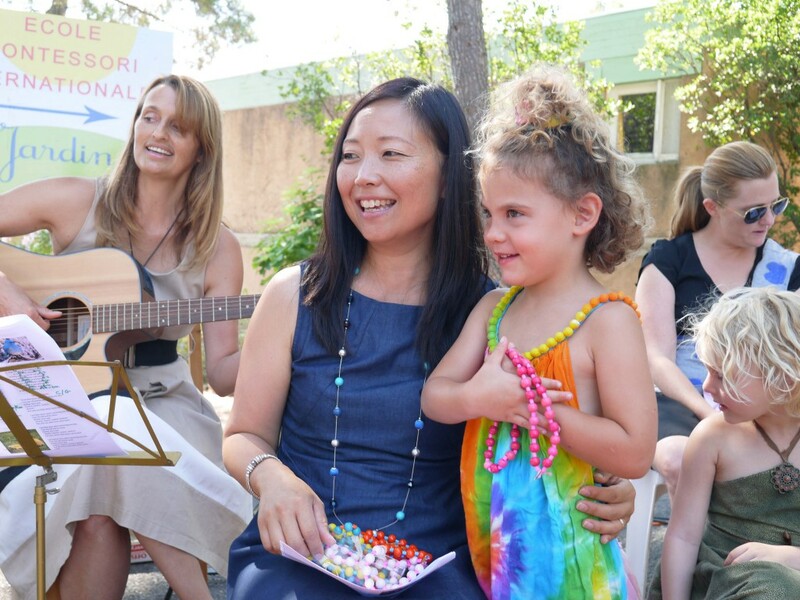 They take their roots in our Judeo-Christian society as customs of our country, but do not in any way invite the children to adhere to a specific religion or belief. 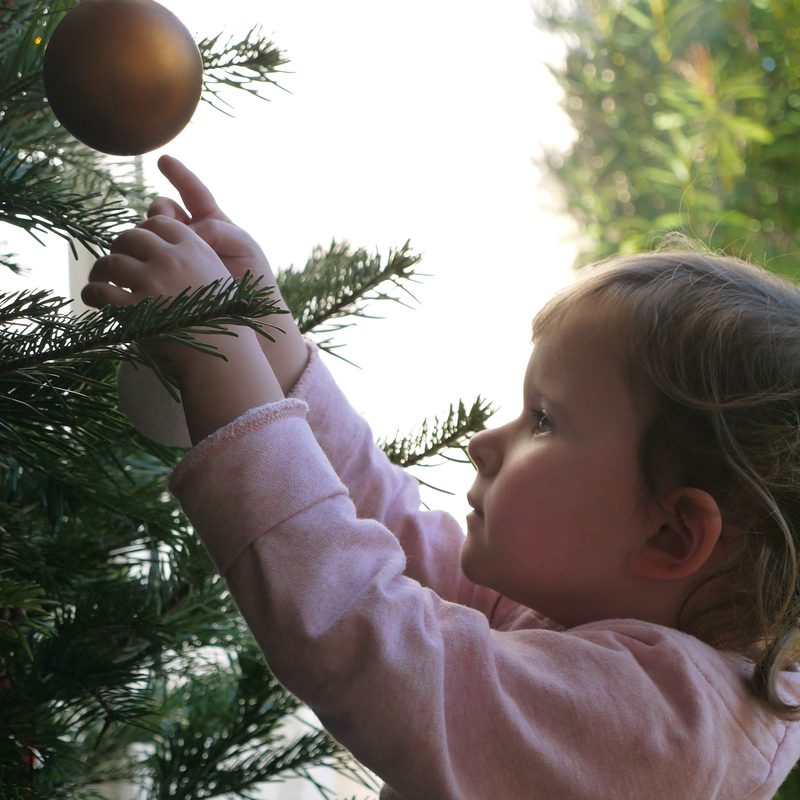 We do however try to best convey the original symbolism of each holiday so that they make sense to the child. We avoid telling the children fanciful tales or make believe. 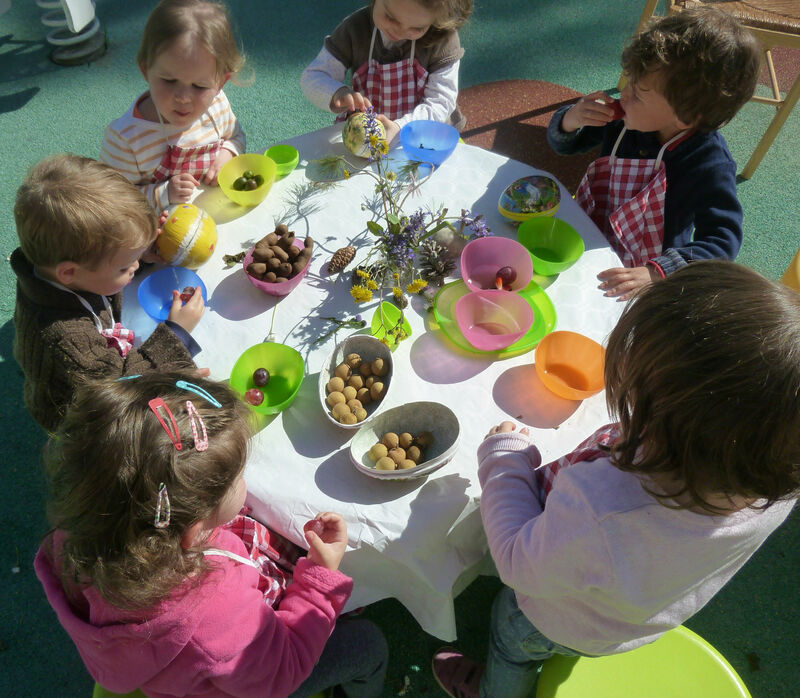 Fruits always accompany the festivities at the school, so as to associate joy and special events with healthy foods. The birthday child brings in photos from each year of his life, which he shares with his classmates. Birthday songs are sung in English, French and Italian, and his friends bring him his carefully cut and decorated fruit platter, so he can blow out the candles and share it with all his classmates. Next the children play music for him on tom-toms and tambourines while everyone dances. It is a big event, which helps the child realize all he has accomplished in this life, and the important place he has in the class. A bouquet of flowers sits in the class for the remainder of the week in honour of his special day. After the fall equinox, the nights become longer than the days. To confront the anxiety that sometimes accompanies this period and to reinforce our sense of inner security and confidence, festivals have long taken place at this period of the year (like modern-day Hallowe’en). It is for this same reason that we celebrate the festival of the little lights. The children help to create a warm and inviting atmosphere, using small treasures they have found in nature in the fall season. Each child then walks along a spiral, lit by the light of his own lantern (a tea-light in a small pumpkin), which can symbolise his inner self, to which he can always turn, even if the light around him grows dim. When all the lanterns are united in the centre of the spiral, the children also see that together we can find warmth and light and that we are not alone. Saint Nicholas (the origin of Father Christmas or Santa Clause) truly existed. He was an extremely generous man who protected children and gave them gifts. For example, he would secretly leave food in the poor children’s shoes. 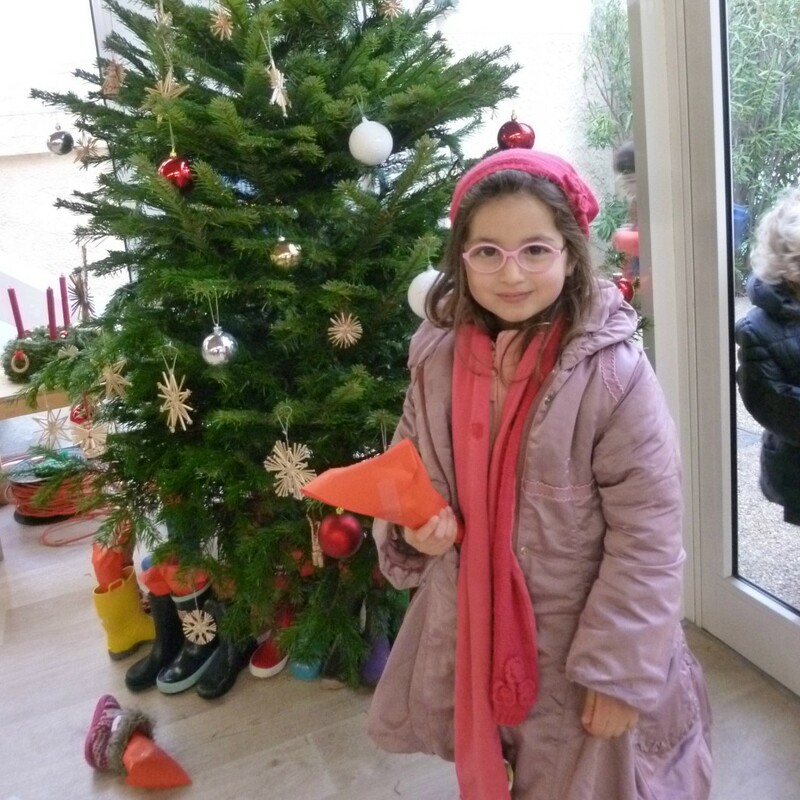 After carefully cleaning their rubber boots and placing them under the Christmas tree, the children at Jardin de Soleils go on a nature walk. When they return, a surprise awaits them in their boots, left by someone who cares about them, in memory of Saint Nicholas. At Christmas time, a choir sings traditional carols and leads the children and their families on a night walk, lit only by the light of their own lanterns. The festivities continue inside the school when the children themselves sing and perform a winter play for their parents. The text helps the children appreciate and better understand this colder period of the year when the nights are very long, but nature prepares, in secret, for the spring ahead. Every family brings a favourite dish to the Christmas party, so that after the play, all can share and enjoy the buffet together. 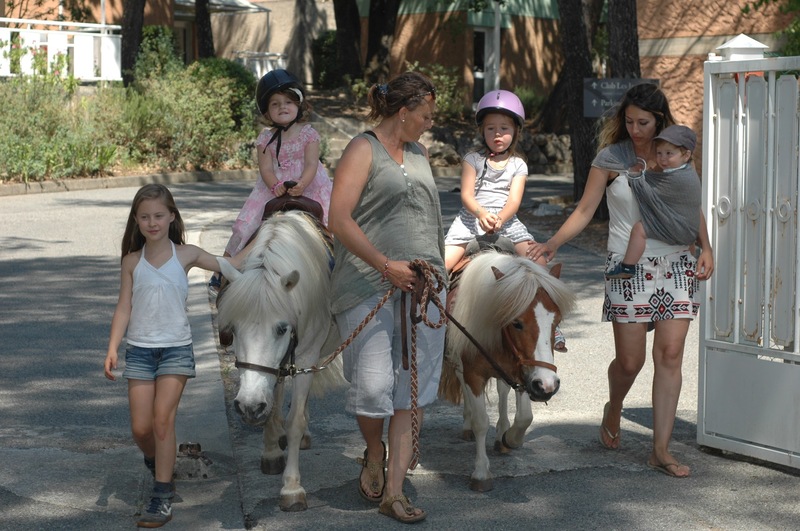 In the Jardin des Enfants, the festivities take place in the morning. 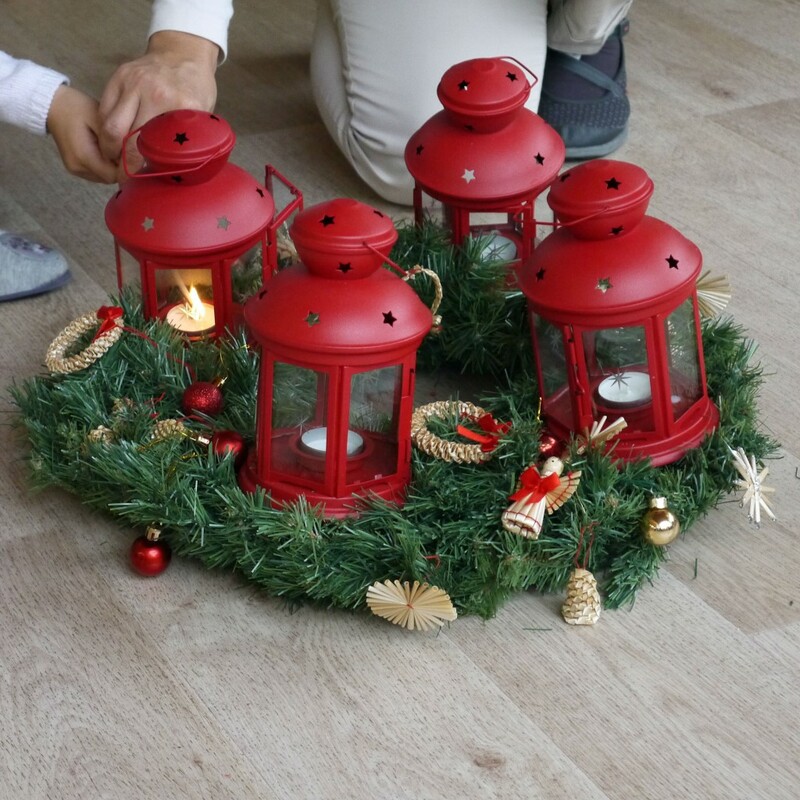 Each child places his or her lantern in the centre of a large spiral wreath, while parents and teachers sing Christmas carols. The buffet, composed of healthy Christmas treats, takes place after the songs. The nativity scene is also installed in the class for the symbol it represents. The children like to identify with the baby in the manger and like to hear that many people were waiting for him and were so glad when he was born. The French "fête des rois" is also a much-appreciated festival: the wise men come from a far off land and bring gifts to the baby in the manger. For the children, it is a strong symbol of how much the tiny baby was admired and cared for. Carnival is the occasion for the children to imagine they are someone else. On the day of Carnival, children are encouraged to come to school dressed up if they would like to. 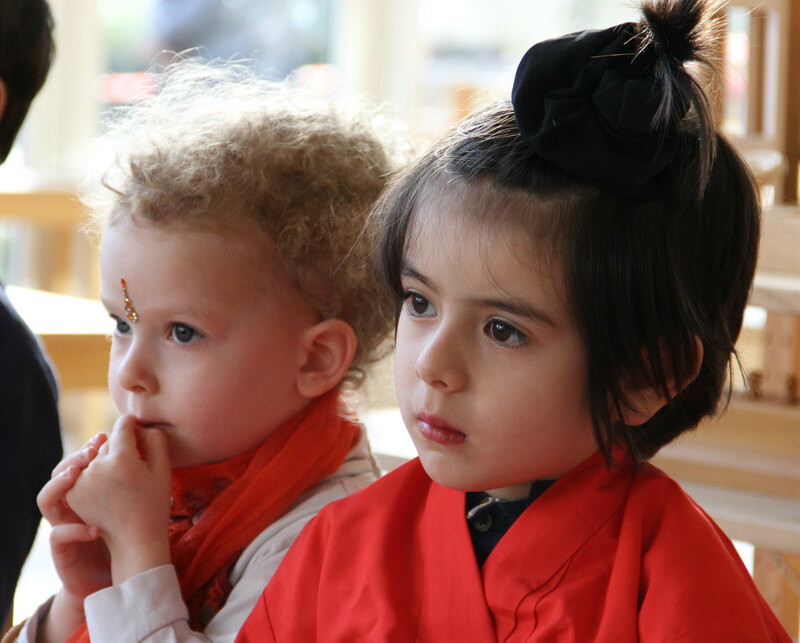 Once in the class, each child has the opportunity to explain who he is disguised as, while the other children watch and listen with wonder. There is a time for dancing together afterwards. During carnival, a face-painting workshop is often available for the children. 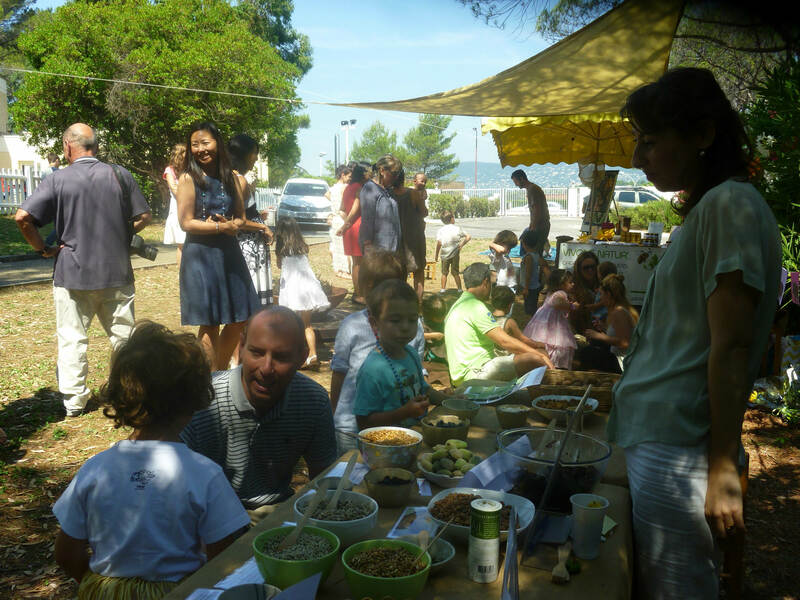 During the celebration of spring, a whole day is set aside for activities pertaining to nature’s revival (planting seeds, nature walks, flower arranging) It is also a very musical day, filled with dances and rounds. Easter is a holiday that follows the festivities of the celebration of spring. Originally, it was the period that the hens began laying eggs again after the long winter season. After months of scarcity, nature offers in abundance, it’s time to celebrate! The end of the year party takes place on the last Friday of school, or the Saturday just after it. 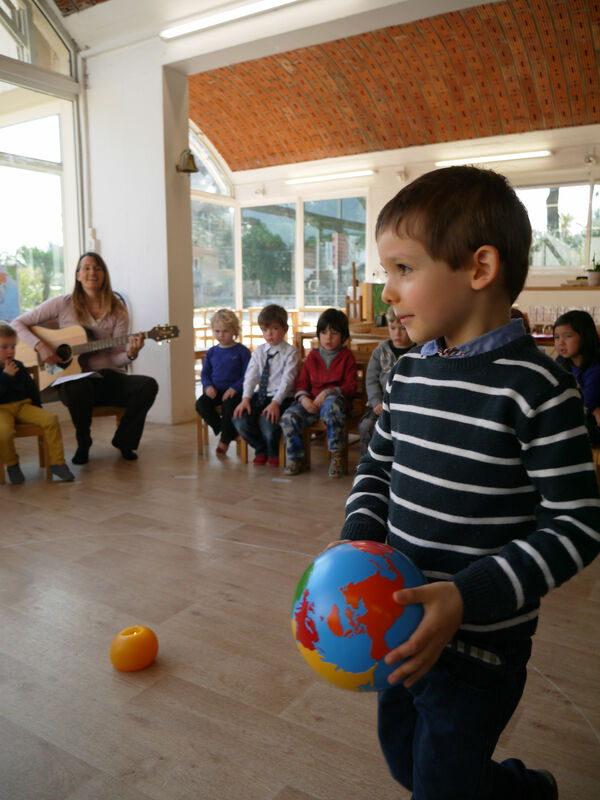 The children sing songs in French and in English, some of them ones they have invented themselves. It is the moment to say goodbye to the families that are leaving the school at the end of the 3/6 cycle. A necklace with a sun pendant, made by the children in the class, is offered to their friend that is leaving. Each bead represents a child or teacher at the Jardin des Soleils. Afterwards there are activities, good food, and surprises!